NASHP’s Center for State Rx Drug Pricing seeks a partner to provide technical and strategic expertise to help a workgroup of state officials from California, Nevada, Oregon, Connecticut, and Vermont implement their drug cost transparency laws and help Maine and New Hampshire develop transparency programs as mandated by recent legislation. 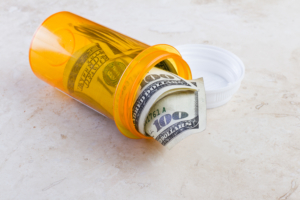 This work will help all states maximize cross-state drug cost comparability. The partner must have expertise in data collection, presentation skills, and analysis to provide guidance in the creation of a prescription drug transparency roadmap and template that states can use to create a searchable database for prescription drug cost information. NASHP’s new State Transparency Implementation Network is supported by the Laura and John Arnold Foundation. Read or download the RFP here. Proposals must be submitted to Jennifer Reck by Oct. 5, 2018 by 5 p.m. (EST). For additional information, review NASHP’s chart comparing enacted transparency laws across states.